You home is the place where you would usually go to when you need to relax, and refresh yourself. Hence having a home, in which you feel relaxed, is very important, because it is your home after all, if you don’t feel comfortable in it, the whole purpose of a home is lost. Therefore decorating your home in a style which relaxes you goes a long way to make you feel comfortable at your own home. Now, decorating your home, doesn’t mean walking in to the closest IKEA® Store, and purchasing all the things you like and stuffing them up in your home, it means that you take your time, and think about what you want, and decorate your home in your own style, or at least to a theme that you feel comfortable in. One of the modern trends in home interior decoration is ethnic themed decors. And one of the more common themes selected by people as of late is the Japanese style, as it is a very minimalistic style of decoration. A Japanese theme wouldn’t cost a whole lot to decorate your home with, but it will certainly look really good on your eyes. This is one of the most important characteristics in Japanese style interior decoration. You need to spread out furniture as much as possible, as the Japanese style is to avoid clutters. Now this could be just a decorative screen, or a curtain, or even a sliding panel, but a practical way of making the Japanese style decoration work, is to separate each functional area with dividers. 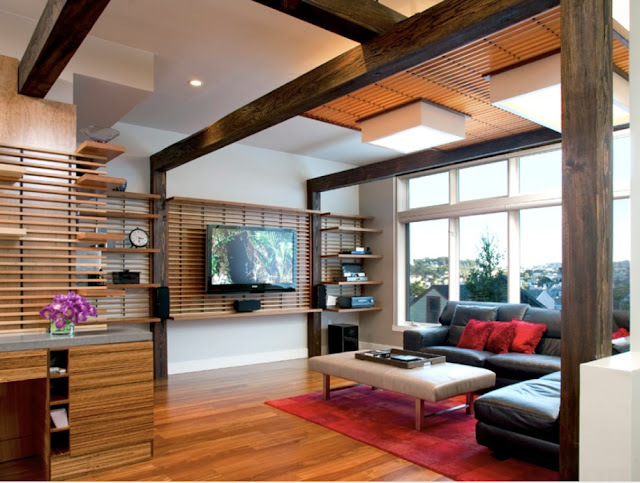 Especially, if you do not have enough rooms in your home to allocate a room for each purpose. This could also help avoid wastages of space arising from clutter free decoration. One of the key factors in Japanese style décor is that the design decorations are just simple lines and geometric shapes. This gives your eyes less information to process when looking at them, thus relaxing you even more. This is one of the more famous characteristics in Japanese style decoration, as it is featured in all the movies that have even 1 scene of a Japanese household. The low furniture is a symbol of our connection with the earth. This just like decorations is more about its effect on your eyes, than anything else. Neutral colors are generally soothing because it gives your eyes less information to process, and when you have less information to process, you brain is relaxed. This is yet another simple, but effective design in Japanese style decorations, all you need to do is purchase a rug (again neutral colored, and preferably made of natural items), and place it around a particular area, and the entire area be brightened up. Another important feature in the Japanese style is to place flower arrangements on table tops, and around the household, this comes back to reiterate our connection with the earth, as well as give a nice smell to your house. Japanese people believe that, a person’s success can be measured by how bright his/her home is. Thus an integral part of the japans style of decor is to have as many lamps as much as needed to brighten up the house at all times. The Japanese people are very efficient people, and just like them, they do not have room for furniture that does not serve a purpose. 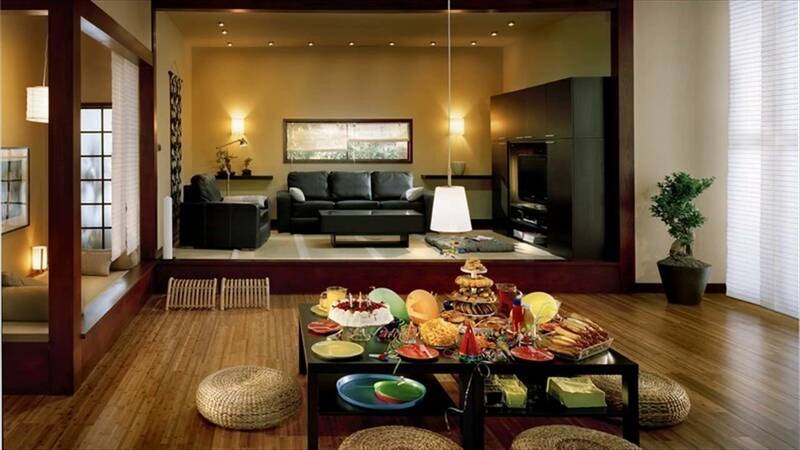 So in Japanese style décor, it is advised to avoid placing furniture that has no purpose in that room. This is another way you could brighten up your home, you could try and use as much of the natural light as possible, this is an economical method, as well as it plays right in to the belief about the brightness of a home being directly proportional to ones success. 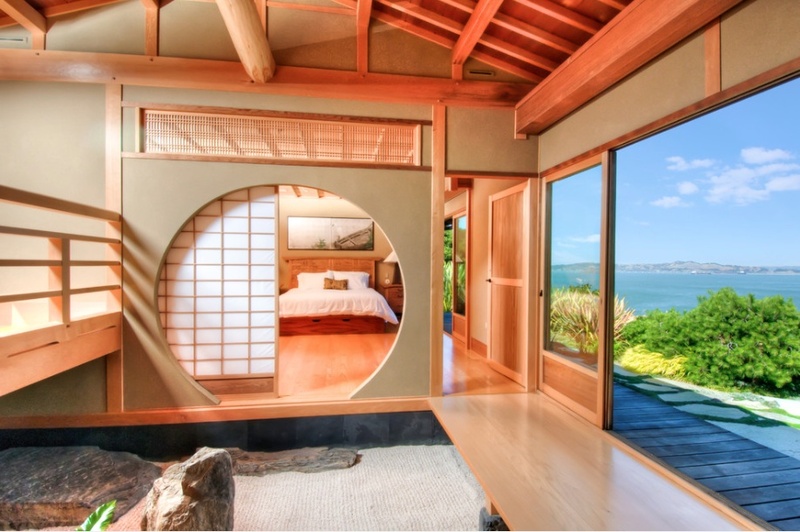 As you can see there are many factors that you need to keep in mind when decorating your home in a Japanese Style, but they are all simple factors, and barely costs anything. The Japanese style is more about using the contents from the earth and being close to earth, which is perfect, as most of us enjoy the nature anyway.